Get ready…. the AZ heat is already approaching and is nerveless merciful. With the extreme heat Arizona brings we must be aware of how much water we are using and how to preserve it. AZ Sprinkler is here to help you make smart, affordable choice while still having a healthy, nice lawn in Arizona. Here are some helpful tips and information. If you’re a person that waters their lawn everyday stop! Not only is it a waste of money, but it’s ineffective. Do this Instead: Water your lawn every three days. Even in the hottest conditions, watering your lawn twice a week will provide enough water to grow a happy, green lawn. 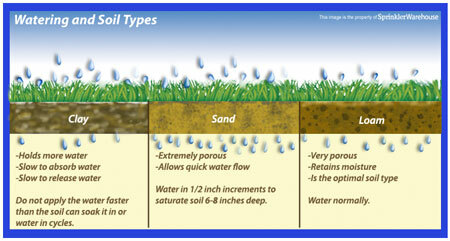 Too much water or too little water can hinder your lawn growth but the perfect amount will promote deeper root growth. Watering Tip: Setup a Sprinkler system timer to help automate the process. With busy schedules full of work and kids, it’s easy to forget when you watered last, or who watered. This too often leads to overwatering or under watering. 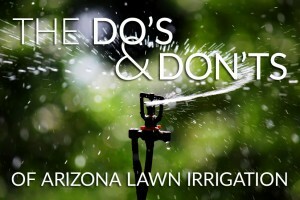 Irrigation timers eliminate that worry while helping to conserve water usage and promote the perfect Arizona lawn. This can really hurt your pocket book and in return you’ll be stuck with a shallow rooted lawn. This is no good because your lawn will be a water addict and need its water fix every day just to survive. The smart choice will be to water your lawn once a week for around an hour. This will make your lawn healthier, less susceptible to water droughts and pesky weeds. 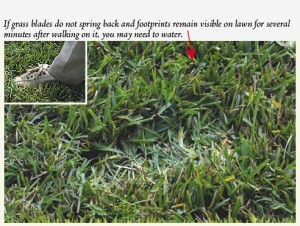 There are two factors that need to be considered when watering your lawn. First, how quick your sprinklers produce water and secondly, how much water your lawn needs. You can test this out by seeing how easily a 6” long shaft of a screwdriver goes into your lawn. If the screwdriver goes in easily you do not need to water your lawn but, if you are having a difficult time than your lawn needs more water. If you are watering your grass when it’s 95 degrees or hotter, stop! In these high-heat conditions, water will evaporate before it even reaches the roots. Do This Instead: Water in the early morning or late evening. During these times, evaporation and wind speeds are lower making it the most effective time to water your grass. All plants have different watering needs, so it doesn’t make sense to give all your plants the same amount of water as you would your lawn. Do This Instead: Do some research on the plants you have growing. Having a solid understanding of the conditions they prefer will help you make a decision on how much water they require to prosper. Plant Watering Tips: Much like watering your lawn, setting up a drip system with a timer can help you stay on top of your plant’s watering needs. You can have your local sprinkler company design a system so your plants get the right amount of water, automatically, all on a timer. Know your soil and grass type- different soils absorb water at different speeds and, different types of grass need more/less water. If a sprinkler head is missing make sure to replace it ASAP. You can lose more than 12 gallons every minute when missing a sprinkler head! 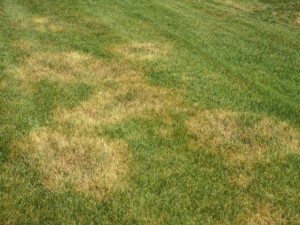 If there are certain areas of your lawn that look dry don’t run your sprinkler time for longer. Instead hand water the areas. Make sure your sprinklers are only watering the grass and not pointed towards the driveway, asphalt, or walls. It is tough to put a screwdriver into the soil. The lawn is still warm after sundown. If you are noticing your lawn is being overwatered or underwatered, and you have an irrigation sprinkler system, you may have a leak or a blockage. Contact your preferred Arizona Sprinkler Repair company to get it checked out ASAP. Next Next post: How Much Does It Cost to Install a Sprinkler System?